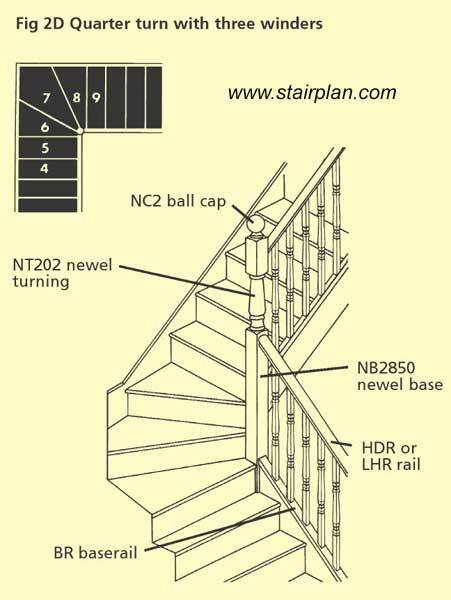 Here you can see the standard detail used with Turned newel posts on a Three tread winder staircase, the newel turning used is a NT202 winder newel turning, this is a short newel turning and this allows the lower handrail to go into the newel base section, the handrails are connected to the newel base and newel tuning using Stelten handrail fixings. 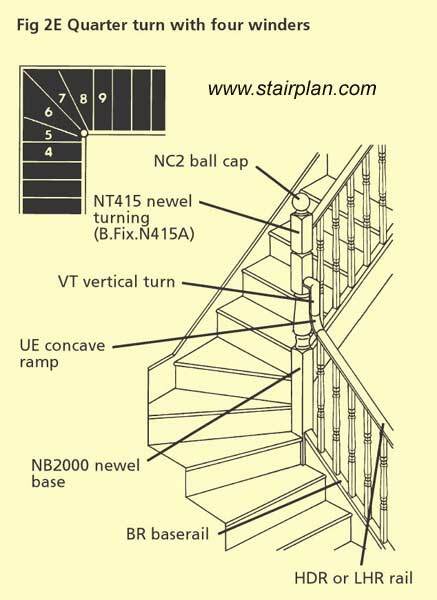 Above you can see a Goose neck detail used on a four tread winder staircase, the UE upeasing would be connected at either end using a Handail Bolt and the VT vertical turn fitting would be fixed to the newel post using a stelten fitting, you could use the method shown at the top of the page using a NT202 winder newel post, this would be an easier installation. 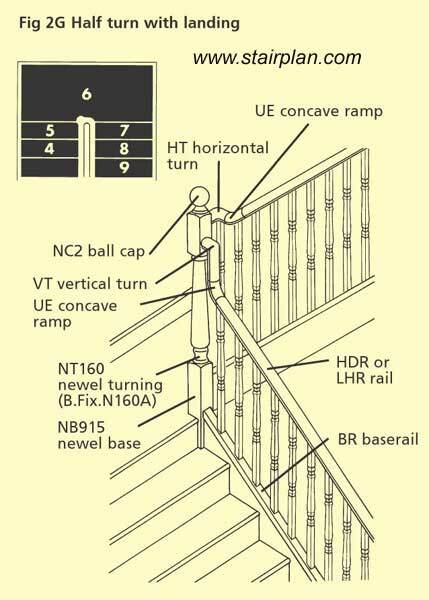 You can see the goose neck here is used with a NT415 double stock newel turning this is because the vertial rise required if your were using the NT160 single stock newel would be too long. 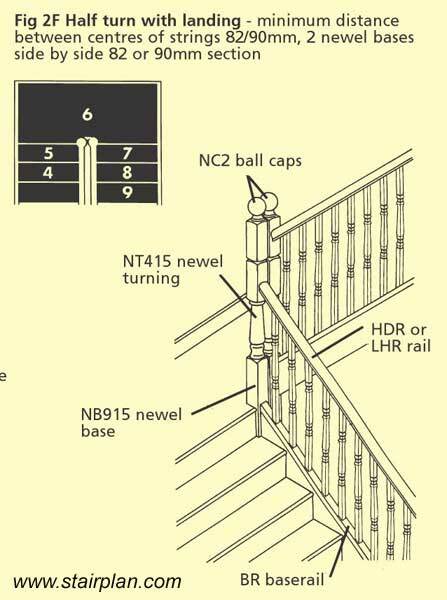 Here you can see a typical handrail detail used at a half landing detail, there are a couple of options here another popular one is to replace the first of the two NT415's with a NT202 newel post.